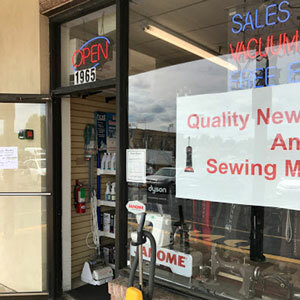 As a full service sewing machine and vacuum center, Ron’s Sew & Vac has been providing the Bensalem, PA, area with unprecedented quality and service for over 30 years. 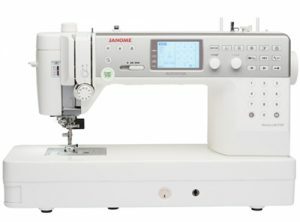 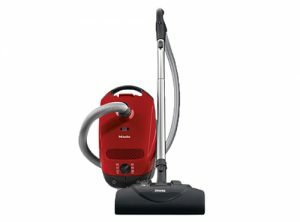 We’re an authorized dealer and service provider for innovative brands such as Janome, Riccar, Sebo, Dyson, Miele, Panasonic, Hoover, Dirt Devil, Fuller, and Viking. 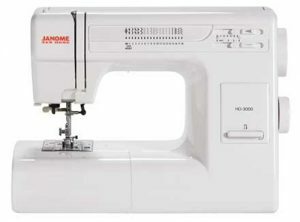 We also carry a large assortment of vacuum bags, belts, and filters for most vacuum models, along with parts and accessories for sewing machines. 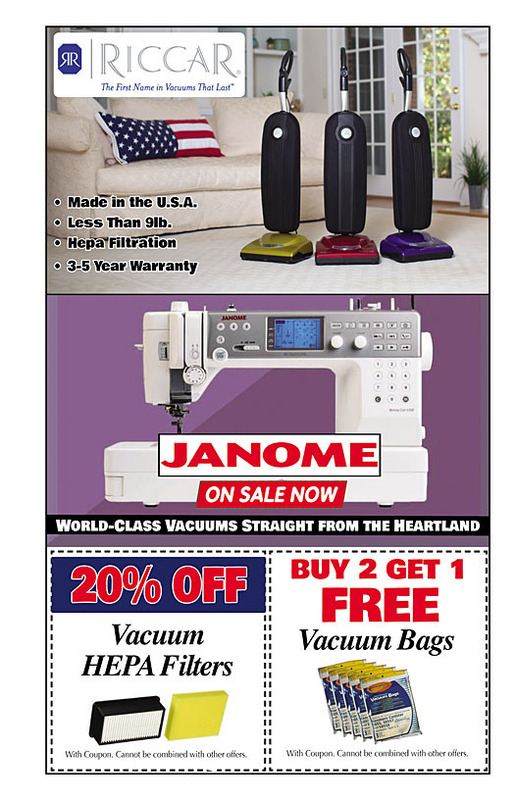 For your convenience, our onsite technicians are qualified to service all vacuum and sewing machine makes and models. 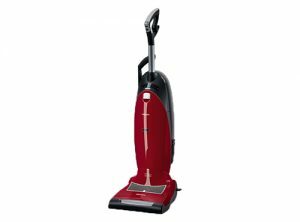 Located at 1965 Street Road, we’re known for our expert product knowledge and friendly, down-home service. 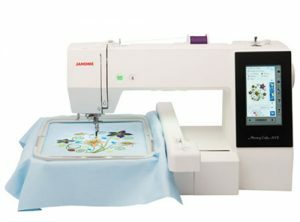 Our shop features a family-friendly environment where we host a wide range of hands-on sewing and machine mastery classes, taught by professionally trained instructors in a casual, supportive environment. 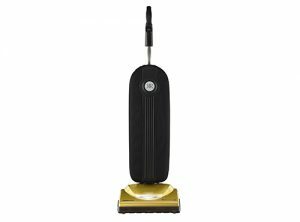 No matter your reason for dropping by our store, our enthusiastic staff members are here to help you select the best products for your home sewing and floor cleaning needs. 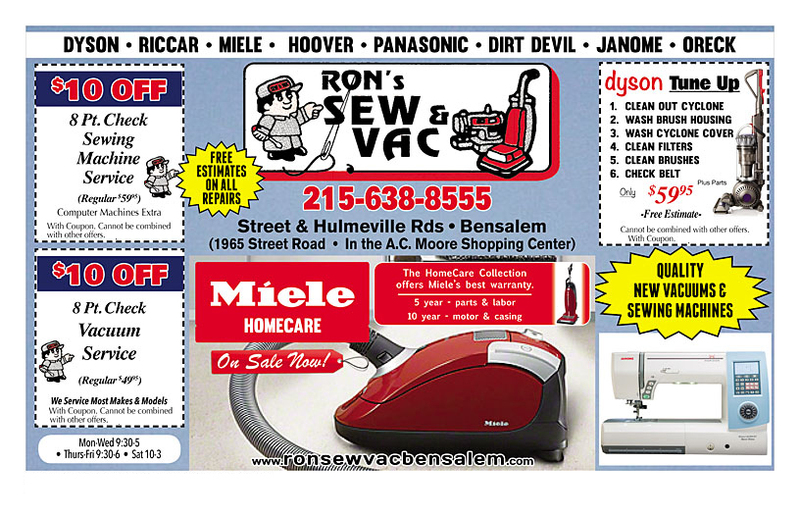 Come on in today and experience the Ron’s Sew & Vac difference!